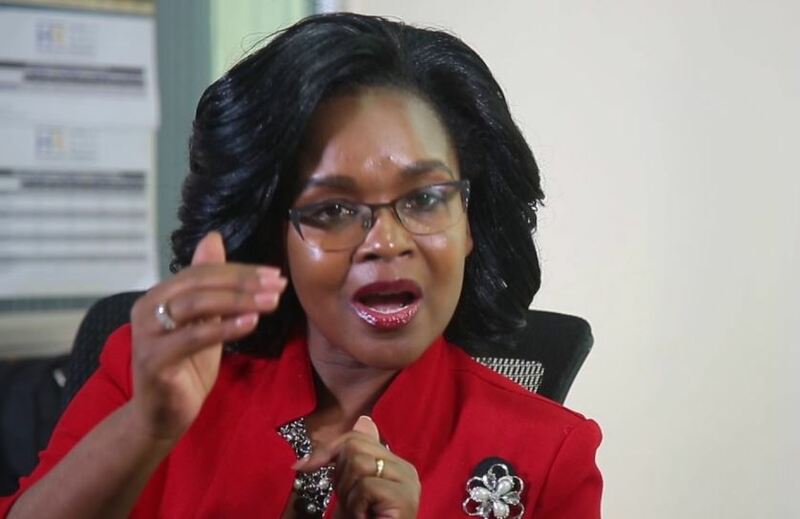 Dorcas Wainaina is the Executive Director of the Institute of Human Resource Management (IHRM) and the first female holder of that office since the inception of the Institute 30 years ago. She joined the organisation last year and is a certified HR management professional with over 15 years of experience in Africa, Asia, and Latin America. Do you consider your first job a stepping stone to where you are today? My first job was in the HR department of the United Nations Office, which is based in Nairobi. I started out as an intern and then worked as a temporary employee for about two months. I then joined IHRM, formerly known as the Institute of Personnel Management (IPM) as the assistant training coordinator. This position revealed to me my ability to not only manage people but also be an initiator of change. When I joined this institute, I was 24 years. Their biggest challenge was getting students to pay their school fees and getting tutors to show up and teach. In less than two months, I came up with a solution which ensured that almost 100 percent of the school fees was collected. I consider myself ambitious because even before I took up my first job, I had my career path mapped out. Every position I have therefore held prepared me for my current role. Was being an HR practitioner your childhood dream? No. Growing up, I wanted to become a lawyer. It was actually my first degree of choice when selecting university courses, but I received a calling letter to study Education (Linguistics and Literature). I was not interested in a career in education, so I enrolled for a higher diploma in Human Resource soon after graduating with a degree in education. Looking back, I am glad that I didn’t study law because landing in an education class was a blessing in disguise. It equipped me with leadership skills. Do you find your role demanding? A few months into the job, it was quite overwhelming, bearing in mind the number of stakeholders I have to interact with. I would do most of the work myself, but over time, I learned to delegate. I have a power team now. Have you ever lost a job? Yes, twice. In both cases, my position was declared redundant. However, that didn’t affect me as much because over the years, I had taught myself not to have a scarcity mentality. I believe in myself so much, such that when I received my redundancy letters, I still walked with my head held high. It took me just a few months to get a better job each time. Do you have any regrets from your youth? I don’t have any, but if I were to go back to my early twenties when I was in university, I would run for student leadership positions and engage in fun activities like going out. I was very careful not to get into trouble because I didn’t want to disappoint my parents. They had struggled to put me through school and I didn’t want to fail them. What is the greatest nugget you have picked up along the way? You can’t put a good person down. You are the first woman to take up the Executive Director role at IHRM in 30 years, what attributes earned you this position? I believe it is my level of focus and ambition. I have a diary where I list the positions I wish to hold in the duration of my career – this was one of them. Once I write down a position, I make sure that I have the qualifications and experience that match the job. For example, I enrolled for certification with the HR Certification Institute in the US. I believe this enabled me to get a job as an international HR Advisor for three years. Thanks to my go-getter attitude, in 2002, I was recruited by World Vision as the first African to serve as HR manager in Khartoum, Sudan, Somalia and South Sudan, a position I held for three years. My education background has certainly played a key role in transporting me here – I am a certified chartered HR analyst with an MBA in Business Administration (Human Resource option) and currently working on my coursework for my Ph.D.
You have been an HR practitioner for the past 18 years, do you have tips for young employees and job seekers? One of the best choices that I made while still in school was to be neat, presentable and eloquent. I was also very confident (not to be confused with being arrogant) such that I didn’t give people a chance to demean me. As an employee, I was thorough in everything I did. Here, where the rate of unemployment is high, you need to chart a clear career path before you graduate from an institution of higher learning. Also, get serious mentors before you graduate, and if you can, seek job opportunities beyond the border. Besides being energetic, it is also important that youth understand the systems of their workplace and improve them. What lessons do you wish you learned about money in your early twenties? You should start saving as early as you can. However much you earn, save some of it. Do you have a mantra that you live by? Stay in your lane and focus. I work out in the gym, I play golf, and enjoy going to the spa for deep tissue massage. I also find taking a nap a great way to unwind.